Effective from 12 May 2017, the conservation status of 37 wildlife species has been reclassified under the Nature Conservation Act 1992 (Qld). The 37 species consist of 14 flora species and 23 fauna species. For the most part (32 of the 37 species), the amended conservation status represents a more threatened status while the balance five (5) species have been reclassified to a less threatened status. A list of the re-classified species can be found on the Department of Environment and Heritage Protection (DEHP) website – http://www.ehp.qld.gov.au/wildlife/threatened-species/category-changes.html. Greater glider (Petauroides volans) has been stepped up from Least Concern to Vulnerable. The greater glider is associated with eucalypt forest and woodland habitats and is distributed from the Windsor Tableland in North Queensland through to central Victoria. It tends to be found from sea-level to 1200 m above sea level (Threatened Species Scientific Committee, 2016). The broad nature of associated habitats and it’s coastal/near coastal zone distribution suggests that the greater glider could become a matter of interest to a range of development sites and activities. The greater glider is also listed as vulnerable under the Environment Protection Biodiversity Conservation Act 1999 (Cwlth). Woolly wrinklewort (Rutidosis lanata), a native daisy – stepped down from Vulnerable to Near Threatened. Woolly wrinklewort, a type of daisy; is regularly recorded in Queensland’s Surat basin. This species was reclassified to Vulnerable from Endangered in May 2014. This species has been recorded on several occasions over the years by New Ground. It is likely that the extent of survey effort undertaken in the Surat basin gas fields has broadened the previously known extent of distribution/abundance of the species. Bramble Cay melomys (Melomys rubicola) has gone from Endangered to Extinct in the Wild. The Bramble Cay melomys was only found on Bramble Cay, a small (4-6 ha) vegetated coral cay (an island composed of coral rubble and sand) in the far northeast of the Torres Strait (DOE, 2017). Available evidence indicates that the anthropogenic climate change-induced impacts of sea-level rise, coupled with an increased frequency and intensity of weather events that produced damaging storm surges and extreme high water levels, particularly during the last decade, were most likely responsible for the extirpation of the Bramble Cay melomys from Bramble Cay (EHP, 2016). A number of migratory bird species (associated with coastal habitats) have been stepped up from Special Least Concern to Endangered or Vulnerable. This change will have ramifications for the planning in relation to some coastal development activities. Refer to https://www.legislation.qld.gov.au/acts_sls/Acts_SL_N.htm to view the Nature Conservation (Wildlife) Regulation 2006, which lists the conservation status of species in Queensland. 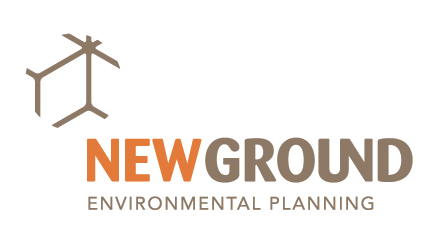 Other environmental planning changes that have resulted from the reclassification include the scope of the Protected Plants regulatory framework and the Environmental Offsets Policy. The Department of Environment and Heritage’s Protected Plants Flora Survey Trigger Map has been updated to reflect the revised plant classifications. This could have ramifications for a range of projects, potentially triggering (or removing) a need for a protected plants clearing permit or exemption. The flora survey trigger map can be accessed at http://www.ehp.qld.gov.au/licences-permits/plants-animals/protected-plants/map-request.php. Further, the Environmental Offsets Policy and Environmental Offsets Regulation 2014 have been revised to reflect species reclassifications. This could have impacts on environmental offset requirements for a given project.